After planting your garden, the next critical step is to water the plants. 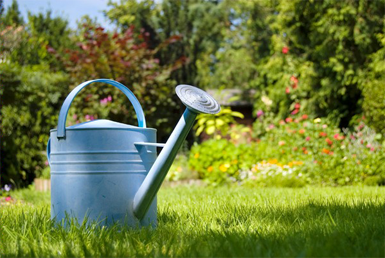 The most convenient and effective way to do this is by installing a watering system in your garden. A watering system is helpful to the plants since it averts water logging the soil or under watering, especially when one has travelled. Moreover, it helps save time in comparison to using a hose or a watering can. It is very easy to either over or underwater a garden. While over watering will lead to disease, rot, and insects’ infestation, inconsistent watering will result in a harmful drought cycle and encourage the growth of weeds. The benefit of a watering system in your garden is that it helps maintain consistency in timing and the amount of water used. For instance, when you use a timer to set the period to water the garden as overnight, this will guarantee that the garden stays green, without critically overseeing the project or waking up early to turn the water off or on. A watering system in your garden will save water since overhead watering is often wasteful due to evaporation, and spraying. Actually, water is increasingly becoming expensive and scarce, have the need to preserve the little that is available. 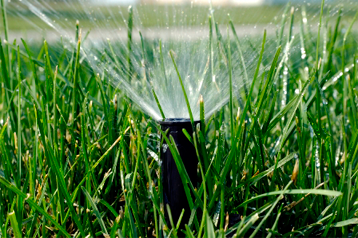 A watering system will distribute water only where and when it is required, which is at the roots. A watering system in your garden is easy to install and you can actually do it as a DIY project. This means that if you want to irrigate unfriendly shrubs such as roses, it will make the process very easy. It is very easy to install a hosepipe across two ends effectively watering the plants. However, it is also imperative that you seek correct installation instructions for DIY projects. You can also choose to install a more complex garden watering system with underground supply lines and a pop up sprinkler for moderate projects that require once a week watering. In case you are away on holiday or business, you can assign someone to do the watering while you are away. If you want to avoid fruit and vegetable splitting which is a common gardening problem, you must ascertain consistent and efficient watering. A garden watering system will help you achieve this effortlessly. Actually, you only need to neglect the garden for a short time and tender fruits such as berries and tomatoes begin to split. On the other hand, water logged soil easily causes the rotting of roots, and consequent plant ill health and death. Lastly, too much water will attract nematodes that are often a big problem in vegetable and fruit gardens. How can you protect your crops?